The sins of the Catholic Church receive further cinematic exposure after widespread recognition at the 2016 Academy Awards in the form of Tom McCarthy's Spotlight, however, this time its Chilean filmmaker Pablo Larraín whose 2015 film The Club (El Club) is gearing up for its UK release. This slow-burning drama is bound to be one of the most uncomfortable watches of the year in its unflinching portrayal of the men responsible for abusing their position of privilege. The Club centres on a small Chilean beach town where those excommunicated from the Catholic Church - for crimes ranging from child abuse to baby snatching - live in seclusion. However, traces of these dark pasts show up on the island, prompting a senior Catholic crisis counsellor being sent to community to investigate. Larraín has crafted a slow-burning, thematically complex piece examining mistrust, injustice, and repentance (or lack of) in the context of the Catholic Church. Initially we are immersed in this community of excommunicated individuals living in what appears to be almost a retirement community: wine is drunk, gambling on greyhounds takes place, and fine food is eaten in relative peace and anonymity. However, a searing examination into the dubious practices of these individuals begins as an unsettled drifter threatens to destroy their previously inconspicuous cover. 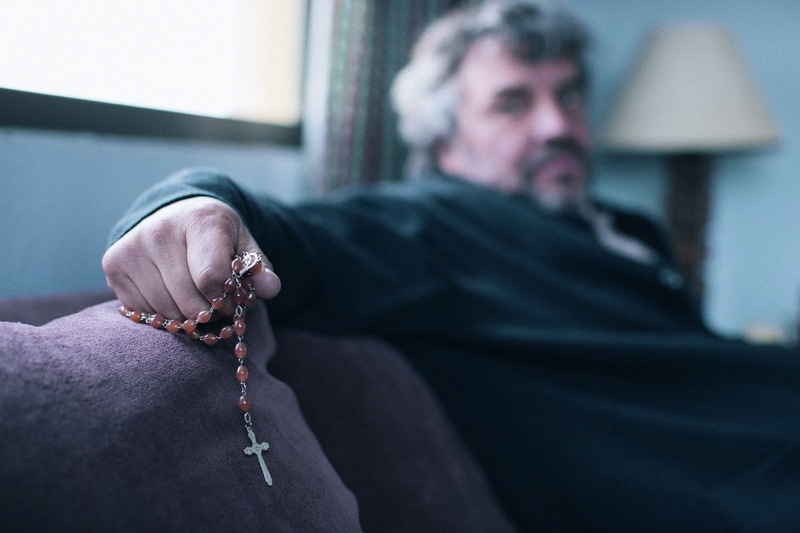 There is a real anger coursing through Larraín's film which confronts with the full horrors that were commonplace in the Catholic Church. Detailed and harrowing descriptions of child abuse fill many of the dialogue heavy scenes portrayed with a vicious nastiness by former victims or generally unrepentant perpetrators. As we learn more about our uncomfortable central characters through the arrival of an investigating priest who uncovers the extent of the psychological damage caused to victims of abuse, proceedings spiral into a crescendo of twisted secrets and overwhelming guilt as the perpetrators attempt to cover up their pasts becoming public knowledge. The latter act of The Club sees boundaries truly blurred as victims and perpetrators are pushed to desperate measures. Larraín translates that thematic anger into a thrilling cinematic tension as the film's final chapter reveals sinister motivations and curious entanglements in this small-knit community culminating in unsettling violence. The Club is an undeniably powerful watch that poses several complex questions within its deeply critical look at the Church. Larraín fills the film with a multitude of eloquently handled twists showcasing the perspective of both guilt-ridden perpetrator, psychologically damaged victim and troubled bystander.